The NanoCalc Series are part of the mikropack product line of thin film metrology systems. 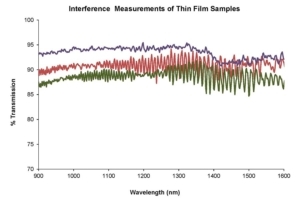 The NanoCalc systems are versatile and configurable thin film measurement systems utilising spectroscopic reflectometry to accurately determine optical and non-optical thin film thicknesses for consumer, semiconductor, medical and industrial applications in a wide range of fields. NanoCalc system measures anti-reflective coatings, anti-scratch coatings and rough layers on substrates such as steel, aluminum, brass, copper, ceramics and plastics.